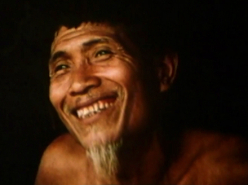 From 1968 to his death in October 1994, Tim Asch produced more than fifty ethnographic films about the Yanomamö Indians of Venezuela, transhumant herders in Afghanistan, and the Balinese, the Rotinese, and Ata Tana ‘Ai of eastern Indonesia. 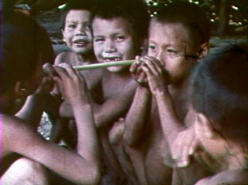 Asch’s career as an ethnographic filmmaker began in the middle 1960s, just as portable synchronous sound technology for 16mm production became available to filmmakers. 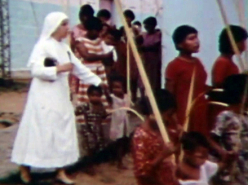 Prior to taking up film, however, Asch explored his first love: photography. He began photographing with David Sapir when he was a teenager at the Putney School, Vermont, 1947-51. He went on to study photography at the California School of Fine Arts where he apprenticed with Ansel Adams, Minor White and Edward Weston. 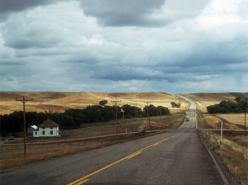 In 1952 he did seven months of photographic fieldwork on Cape Breton Island, Canada. These powerful black and white photographs remained unpublished until after his death. He continued his career as a photographer for Stars and Stripes while in the U.S. Army stationed in Japan. 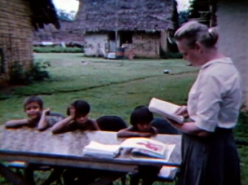 In 1959 he completed undergraduate studies in anthropology while working as an assistant to Margaret Mead. 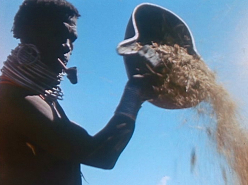 It was this connection to Mead that influenced Tim Asch to take up film in the service of anthropology. His career took a turn in this direction, in spite of the fact that he continued to exhibit his still photographs from the 1950’s to the 1980’s. From 1959 to 1962 he utilized his talents as a film editor and worked at the Peabody Museum at Harvard University where he met John Marshall and Robert Gardner. In 1961 he worked for the author Elizabeth Marshall Thomas in Karamoja, Uganda among the Dodoth. 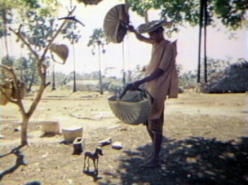 In 1963, using material from this expedition, Asch completed his first film, Dodoth Morning , which featured one morning in the life of a Dodoth family at harvest time. 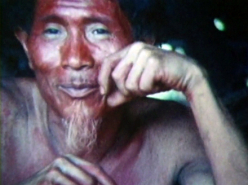 His photographs from that time were published in the book Warrior Herdsman (1965). He saw film as a powerful tool to educate and was one of the earliest proponents of educational reform and encouraged the use of film in the classroom. From 1966-1968 he worked with Jonathan Kozol to develop a media based curriculum for the public school system in Massachusetts. 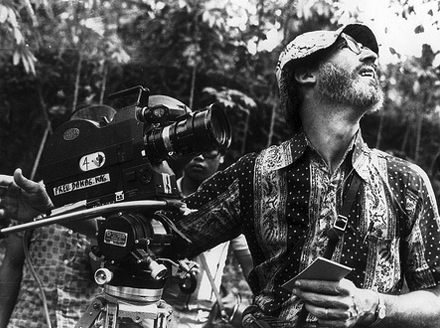 Throughout the 1960’s and 1970’s he was in demand by many universities including Harvard, Brandeis and New York University to lecture on filmmaking and anthropology. 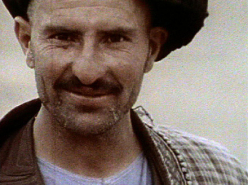 In 1968, Asch, along with John Marshall, founded Documentary Educational Research, a non-profit organization, to produce, distribute, and promote the use of ethnographic and documentary films, in part because no films distributor would agree to distribute all of the sequence films on which he had worked with the Marshalls. 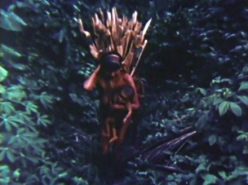 In 1971, DER incorporated as Documentary Educational Resources, Inc.
From 1968 to 1975 he traveled deep into the rainforest of South America with anthropologist Napoleon Chagnon to live with, work and film the Yanomamo Indians. 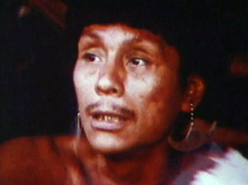 Shooting 16mm film in the jungles of Venezuela with native peoples who had a taste for intertribal warfare was not an easy task. 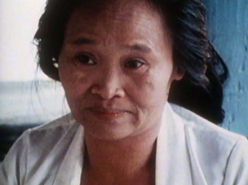 From this experience Asch directed and produced his first important film, The Feast . 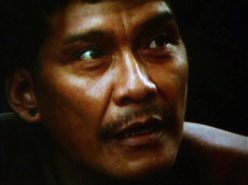 Another film from this series, The Ax Fight , will always stand as a crucial work in the genre. In its understanding of the power of the vignette in film and in its concern for the truth and the accuracy of its representation of a society, it echoes the concerns and methods of Flaherty in Nanook of the North . 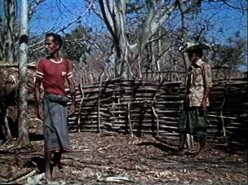 The Ax Fight , while simultaneously embodying the legacy of Flaherty, also prefigures the more self-conscious and experimental modes of ethnographic filmmaking to come. 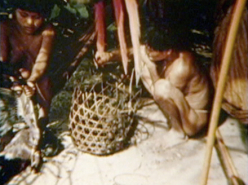 Asch’s collaboration with Chagnon resulted in thirty-nine films on the Yanomamo, which were distributed world wide, through television, international film festivals, and received numerous awards. Tim Asch did his finest work as a collaborator. 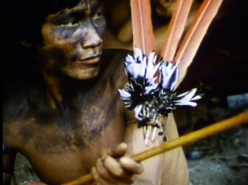 After producing the Yanomamo Series he worked from 1979-94 with his wife Patsy Asch, Linda Connor, James Fox and Douglas Lewis on a group of eight films about the people and culture of Indonesia. 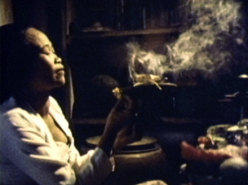 His intense engagement with the spirit medium and healer, Jero Tapakan resulted in a fascinating experiment in cross-cultural filmmaking. 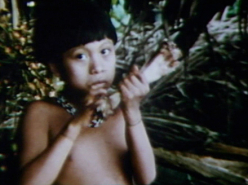 His last film, A Celebration of Origins , was perhaps his most complex and difficult work. It received greater recognition internationally than in the U.S.
During the 1980’s Tim Asch was a pivotal figure in the international scene building the foundation for the establishment of visual anthropology and ethnographic film programs in China, Europe and Africa. In 1991 he was the keynote speaker at the International Visual Anthropology and Sociology Conference, Eyes Across the Water , University of Amsterdam. 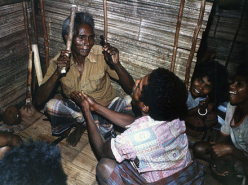 In 1982 he became the Director of the Center for Visual Anthropology at the University of Southern California. He also took over the publication Visual Anthropology Newsletter , a leading journal for visual anthropology. Tim Asch was a man devoted to two things: anthropology and images of human beings captured in photographic emulsions. 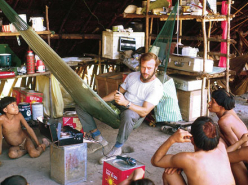 More than any other man, Tim created new ways of combining anthropology and images for the benefit of his students, his profession, and the whole of humanity.